Must Have of the Day: The Silhouettes You Need for Chilly days! 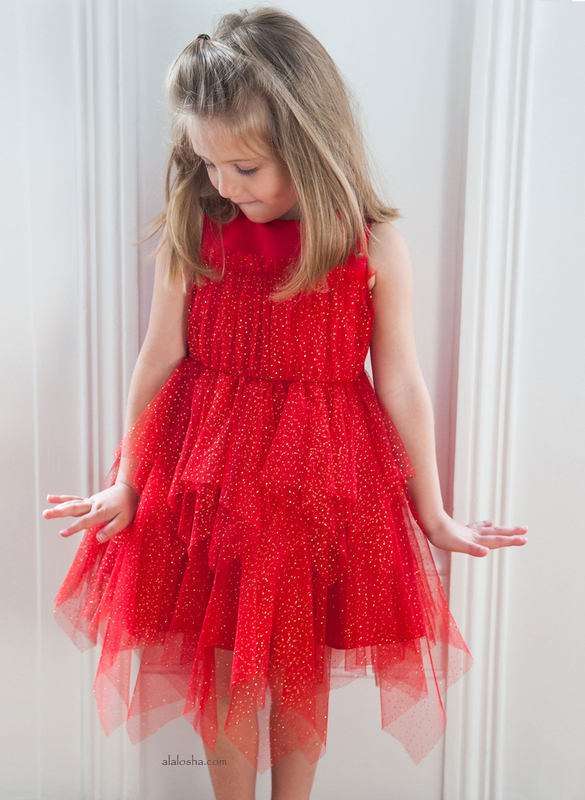 Simonetta cosy and comfortable dresses are fit for every fall fete and perfect for twirling from day to night. 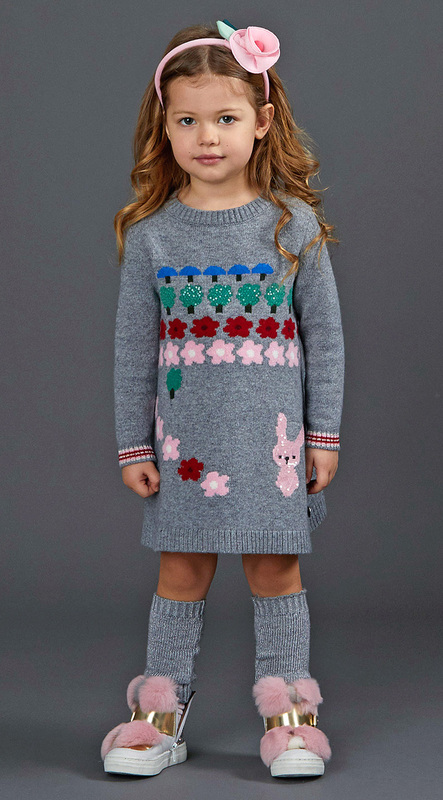 Just right for chilly days, this cosy and comfortable Simonetta Mini dress will keep girls warm whatever the weather. Made in a soft knitted wool and cashmere blend, it is in the style of a sweater with a ribbed neck, cuffs and hemline. 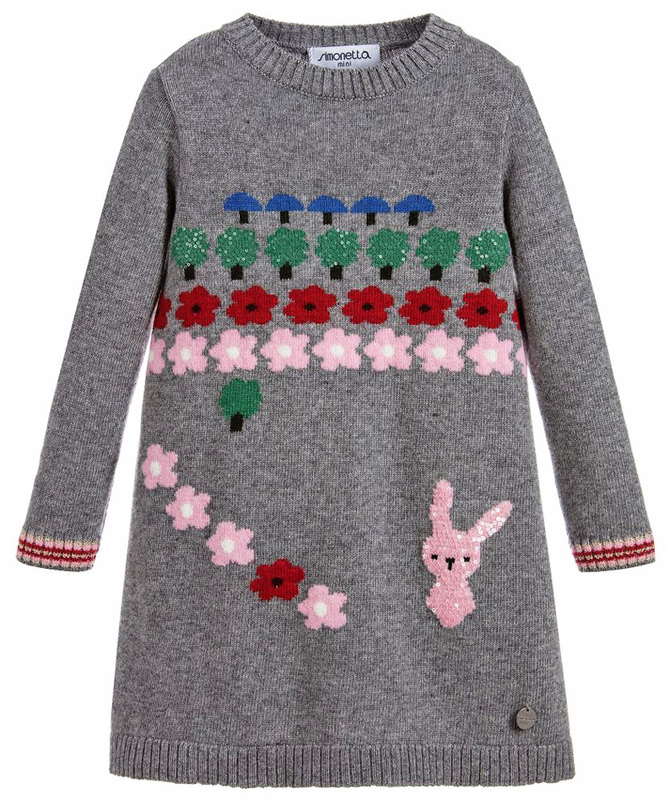 It is patterned with flowers, trees and a cute pink bunny, with sequins to add a little sparkle. 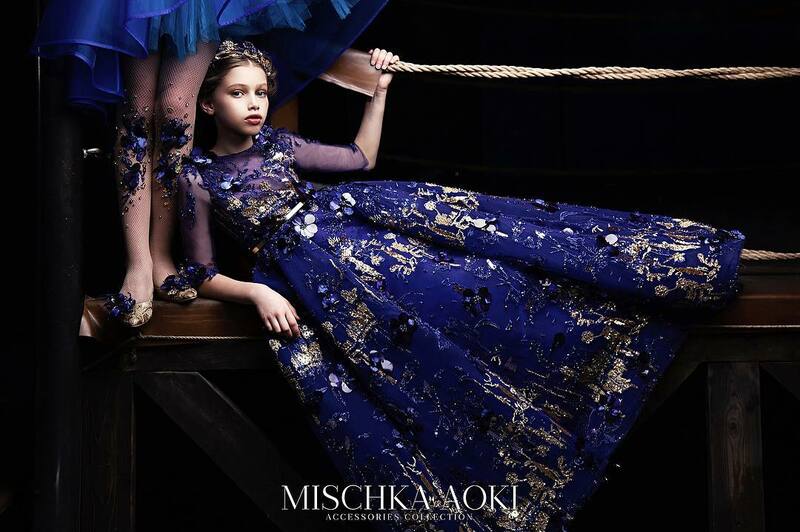 This doll dress by Simonetta Mini is just the ticket for injecting some luxury to her occasion wear. With a pleated waist, tulle tiered lining and glittery collar, this dress is perfect for twirling from day to night. 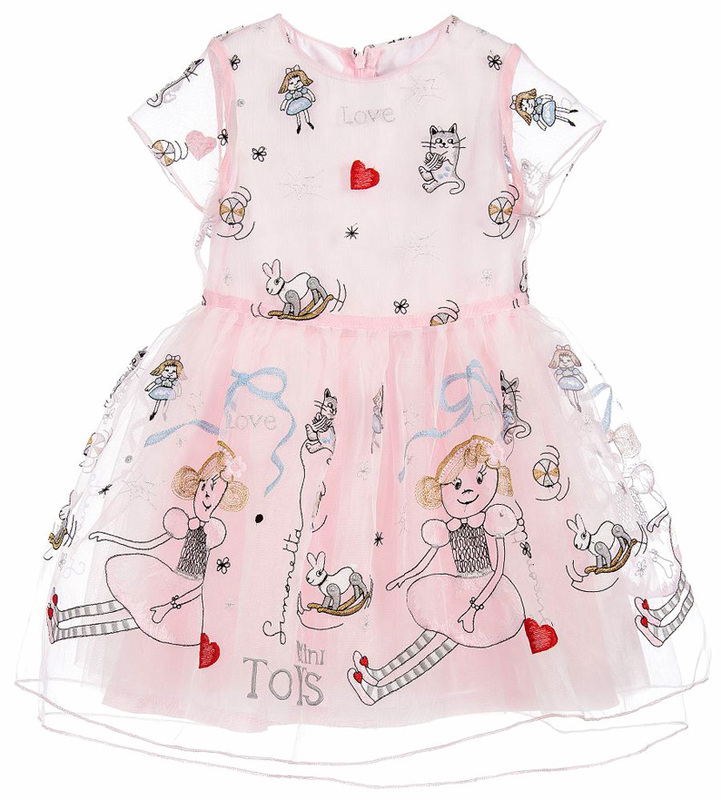 The lightweight organza overlay of this Simonetta dress has been embroidered with fun nursery characters, love hearts and toys. A fitted bodice gives way to a full and flared skirt, with tulle petticoats underneath for fullness and a satin lining for comfort. 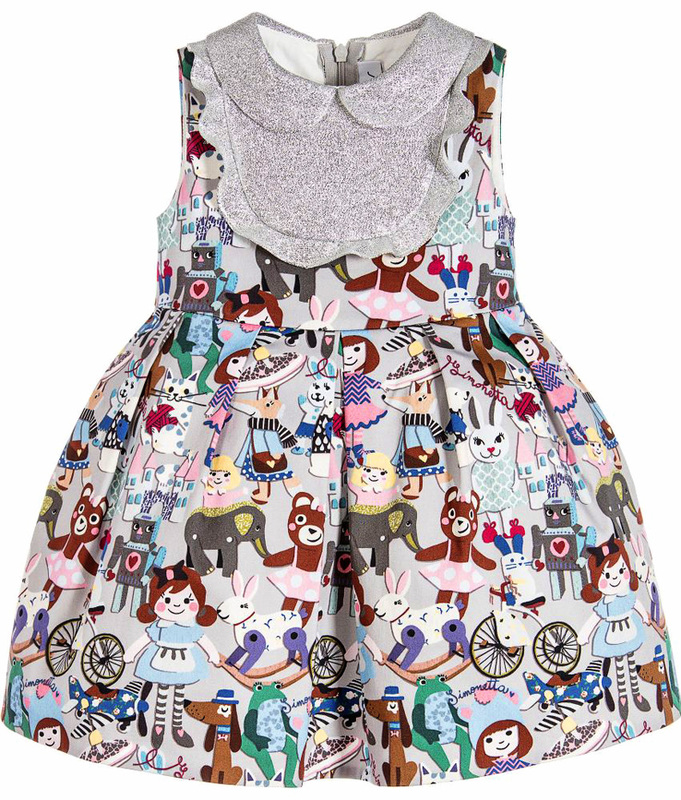 Made with layers of embroidered tulle, this skirt by Simonetta Mini has a cute toys pattern. The embroidery lends an exquisite hand-made finish and the smooth satin lining will ensure twirling is as comfortable as it is fun.